When I look in old mathematical textbooks from the seventies and before, mathematics is always upright. Their use of italic letters in other contexts, however, shows that this is not because of technical limits. On the other hand, all textbooks I have seen with italic math look very TeX-like. So I was wondering if this is a coincidence? could italic math be an invention by Knuth introduced in TeX? Does someone know the history of italic math? No, it was a standard convention. 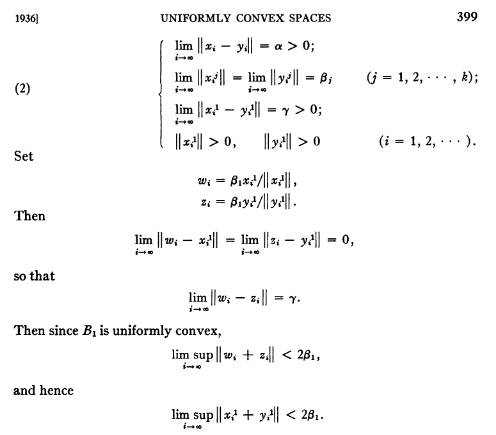 See, e.g., “Uniformly Convex Spaces” by James A. Clarkson that was published in 1936. Not the answer you're looking for? Browse other questions tagged math-mode italic tex-history or ask your own question. How does one change the math style to one of the “primed” styles? Italic Correction with Italic Numbers in Math Mode using Microtype?